Provides the stability needed for higher lift heights. Allows for higher lift heights while retaining a low collapsed height. Standard Battery Rollers and Dual Side Gates allow replacement batteries to be easily removed and installed. Standard deep cycle batteries and a built-in charger keep products on the move. 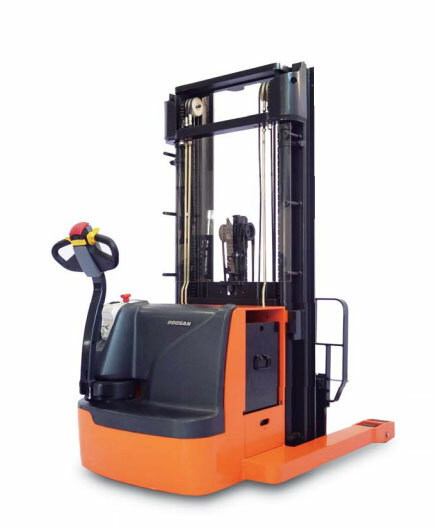 Provides a tighter turning radius over counterbalanced stackers. Gives the correct fork angle for productive load handling.